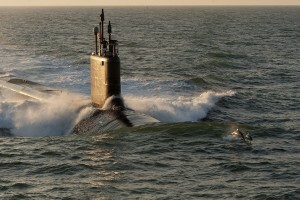 Tridentis has provided supply and logistics support to the Virginia Class Submarine program within the PMS 450 group. Our logistics professionals have performed a wide range of supply and logistics tasks to PMS 450. Tridentis logisticians have supported the Supply Support group creating and maintaining scheduling documents, such as the Supply Readiness Milestone Management Plan (SRMMP), and performing supply readiness assessments. Tridentis also supported the Maintenance Outfitting team providing assistance assuring vessels had adequate material for maintenance and repair. Our logisticians maintained the Special Purpose Electronic Test Equipment Requirements List (SPETERL) and worked with other Navy agencies such as Submarine Maintenance Engineering Planning and Procurement (SUBMEPP), and Naval Supply Systems (NAVSUP) to ensure test equipment was delivered and calibrated. Tridents created a Supply Readiness Management Milestone Plan (SRMMP) for PMS450F that is composed of over 60 key tasks and 15 different programs to ensure all aspects of supply readiness are met during new construction. We continue to track and monitor the progress and completion of all tasks within the SRMMP and have relationships with all programs involved. Our logisticians are involved with the creation of hazardous materials list for each VIRGINIA Class submarine prior to delivery to the Navy. Each of these HAZMAT lists are unique as each submarine has different needs and requirements based on their respective systems. Tridentis created a standardized 90 day General Use Consumables List (GUCL) for all submarines within the VIRGINIA Class program. The list consists of tools, daily use items, and initial outfitting items for use in the galley, berthing spaces, and deck divisions. The GUCL list is procured for each submarine and can be slightly modified to meet the specific needs of each crew onboard. Tridentis’ logisticians are involved in the technical and logistic review of Engineering Change Instructions (ECI), Ship Alterations (SHIPALT), Engineering Reviews (ER) and Technical Insertions (TI). We review these changes and ensure all aspects of the change is met regarding vendor support, configuration accuracy, repair part allowancing, maintenance philosophies, and ensure overall cooperation is achieved between all programs involved.